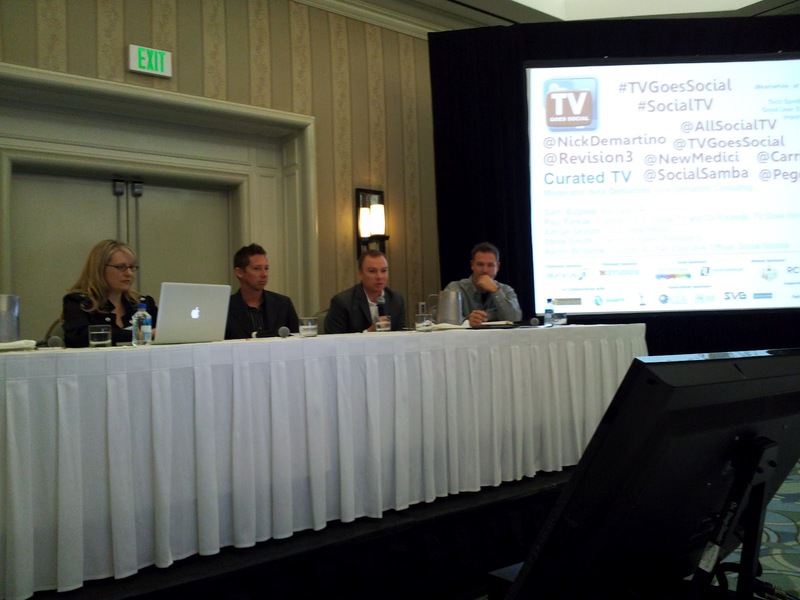 TV GOES SOCIAL Report: Riding an ADD Medium? 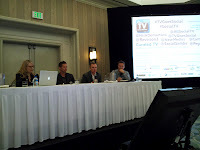 The real issue of Social TV is managing an ADD environment. With as much as 60% of the TV audience holding a second screen in front of them, the issue is: can you make the two or more screens work together or are you simply providing the opportunity for distraction? The conversation has moved from paralleling Tweets and Facebook fanposts to managing the relationships between multiple screens. This has implications for content, advertising and technology opportunities. One key word is Transmediea – storytelling that lives in a symbiotic relationship across 2 or more media. This matters because content has to be aware of the multiple environments in needs to live in – including mobile – where it may derive its audience and ideas. Ads have to live in the same environment which offers both challenges and amazing opportunities. Since the second screen issue thrives on the quality of its relationship with the first screen, metadata and a variety of cross-communication technologies are major issues that have stakeholders - especially cable companies – deeply concerned. Prediction: look out for Apple TV to be a game changer with a slew of competitors hoping to upstage them prior to 2103. 122 attendees and 43 startups filled the NJIT Campus Center Atrium on February 9th for STARTUPALOOZA NJ hosted by The Enterprise Development Center at NJIT. With two minute pitches for innovations ranging from robots to electronic health record solutions, the disruptive power residing in NJ’s digital and healthcare community was once again proven. 6 finalists presented Digital finalists: Qrious, Allweb Technologies and My Venue Menu. Healthcare finalists: Vyzin, Epion Health and Assistive Innovations In presentations moderated by iBreakfast’s Alan Brody, they presented to investors including Kamran Hasmi, Heather Gilchrist, Zev Scherl (with protege Sam Scherl), Rick Pinto, Glenn Fratangelo and John Ason. In our effort to keep you abreast of the most important conferences we bring you this report from our newest correspondent who is no other than....my daughter Danielle, a college sophomore and managing editor of the University of Delaware newspaper. Facebook is a new tool for journalists, job hunting tips, blogging and how to use Twitter and LinkedIn the right way. * Showing your interests on social media gives you character, blogs don’t have to relate to your career. Read here for additional coverage.